Traumatic Abdominal Compartment Syndrome. If people are involved in a car accident, the injuries that they might sustain can range widely in their severity. Some of these injuries manifest sooner rather than later. A relatively rare entity, called Abdominal Compartment Syndrome, might not appear immediately after an accident. About three-quarters of their patients had one organ damaged, such as the spleen. About 20 percent of their patients had two organs injured. The remaining five percent had three or more organs injured in abdominal trauma. There is a good chance that someone could have more than one organ injured in a traumatic accident. One of the causes of this is termed abdominal compartment syndrome. As this pressure starts to increase, it can collapse the internal organs. This chokes off the organs’ supply of oxygen and tissue. As this collapse continues, it will eventually cause a failure of both the pulmonary and circulatory system. The treatment of this compartment syndrome is emergent surgery. Without this surgery, according to studies in Intensive Care Medicine, the mortality rate of this syndrome is very high. Paperwork: There are mountains of paperwork following a severe accident that could be overwhelming. 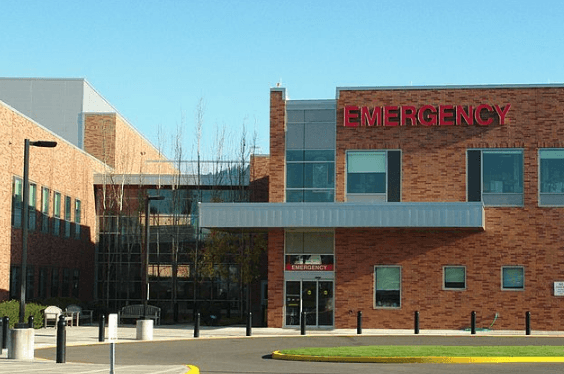 Insurance: Should a health insurance company refuse to pay for a hospital visit, an attorney can negotiate on your behalf. Court: If there are other details involved in an accident, going to court may not be optional. A lawyer can represent you in this situation. These are serious situations that mandate the attention of a legal professional. Don’t hesitate to ask for help when it is needed most. I’m Ed Smith, a Personal Injury Lawyer in Sacramento. Abdominal trauma can cause severe consequences. If you or a family member has suffered abdominal injuries in a car accident, call me at (916) 921-6400 or (800) 404-5400. I would be happy to offer friendly, free advice. I am happy to be a member of the Million Dollar Advocates Forum. Feel free to browse through our verdicts or settlements. You can look on Google, Yelp, and Avvo to see ratings and reviews by our past clients.